Founder and Dentist, Dr. Langston Raymond is a member of various associations, including the Canadian Dental Association, Michigan Dental Association, American Dental Association, and the Organization of International Development. Caring, professional, and thorough, Dr. Raymond received his degree in Dental Surgery in 1996 from the University of Michigan School of Dentistry. 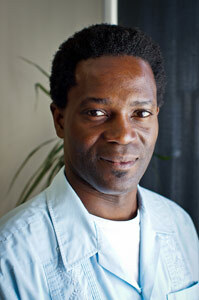 Aside from doing some volunteer work in Jamaica, he taught at the University of British Columbia for five years. Dr. Raymond’s popularity was confirmed by the fact that he was voted the “Best in the West” according to the Westender (Vancouver’s *Urban Voice*) because he truly enjoys serving the West-End community. Come and visit him for your next dental treatment to find out what his patients are raving out!